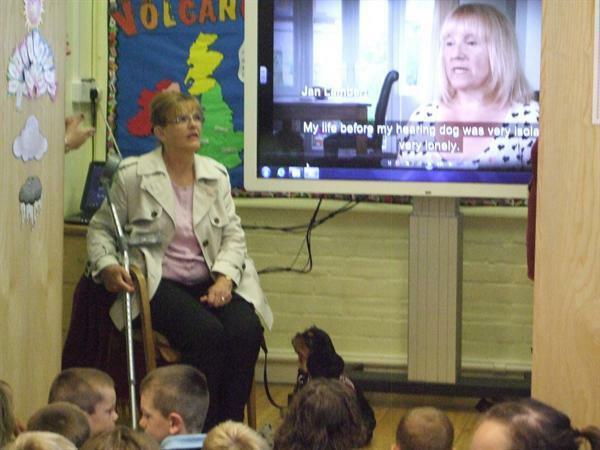 On Thursday 10th July 2014 the children were delighted when June Spouncer brought Maggie with her hearing dog Rupert in to meet the children and do an assembly to educate the children on the work that "Hearing Dogs for Deaf People" do. Following the assembly the children were enthusiastic to do some fund raising for the Hearing Dogs so requested that at the Year End Production Programmes would be sold with the funds going in aid of the Hearing Dogs - £10.10 was raised. At the assembly the school presented a bag full of stamps to June Spouncer, this is a charity that the school continues to collect stamps for over the years and since the assembly lots more stamps have continued to pour into the school starting our collection again for the Hearing Dogs for the Deaf. 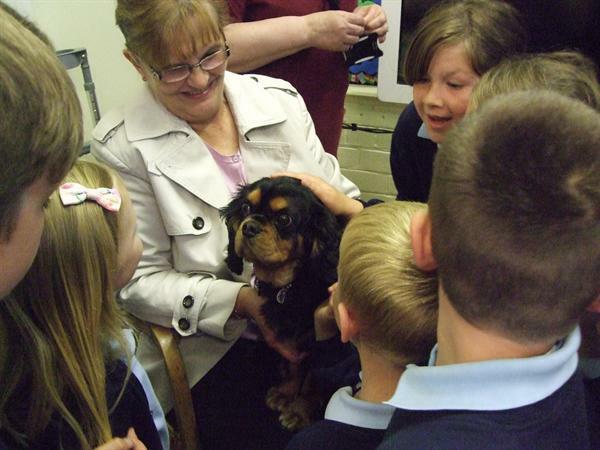 Members of the community are invited to also donate their stamps to Hearing Dogs for the Deaf via the school office. 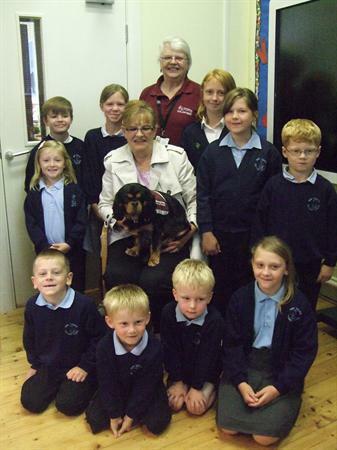 A photograph of Maggie with Rupert and some of the children can be seen on this web page. Rupert only qualified in January so he has only been able to go out on visits for a short while. June Spouncer said that he is a little treasure and it is a joy to have both him and Maggie go out with her to raise awareness of The Hearing Dogs for the Deaf.